No words can truly describe the sight of several 5 foot tall rounded shrubs covered in enormous flowers. And I would not do without them – the hydrangeas. The spectacular ‘Annabelle’ was discovered growing wild near Anna in Ohio, hence the name and launched in the mid-1970s. 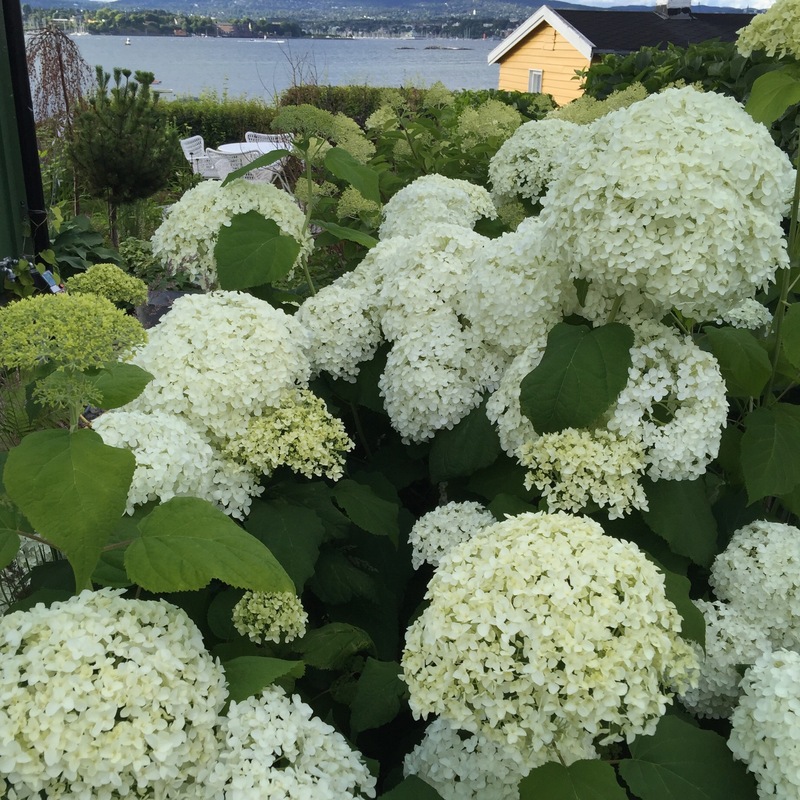 ‘Annabelle’ is a fantastic border shrub and makes a strong presence for many months.Position your Hydrangeas carefully, apparently they bloom best when they receive sun in the morning and afternoon shade. If you feed Annabelle you get larger flowers but the supporting stems tend to be softer and less woody so they struggle to support the larger flowers. The only negative I can say about Annabelle, is that after heavy rain the weight of the flowers cause it to droop.